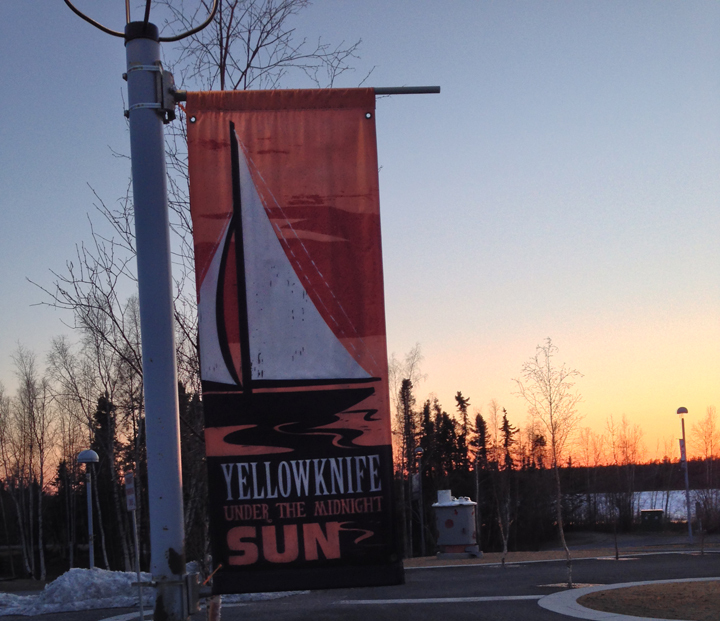 I flew to Yellowknife on April 30 to visit the Yellowknife Quilters' Guild. This is a very active and enthusiastic group of quilters. I thoroughly enjoyed my time with them. I was excited to visit an area that plays a part in my family's history. My grandfather spent many summers in the area in the 1930's as a Dominion Land Surveyor. He played a part in the development of some of the largest gold mines in the world! 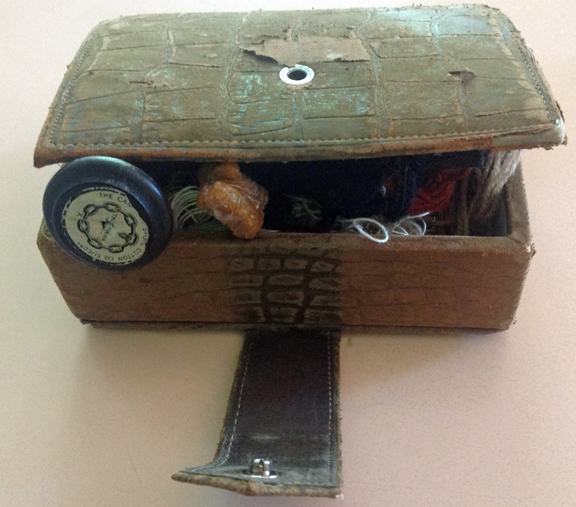 Here is the sewing kit I inherited from him. He took it with him on every trip to do any mending required for his tents, clothing and sleeping bag. I think my love of sewing comes from this branch of my family since my great-grandfather was a tailor! Yellowknife is the capital of Canada's Northwest Territories and it sits on the shore of Great Slave Lake, the tenth largest lake in the world. The lake freezes in the winter and becomes a wonderful playground for snowshoeing, cross country skiing, ice fishing and for viewing the Northern Lights. Days are very short in the winter and it is bitterly cold so being a quilter is the perfect winter pastime! 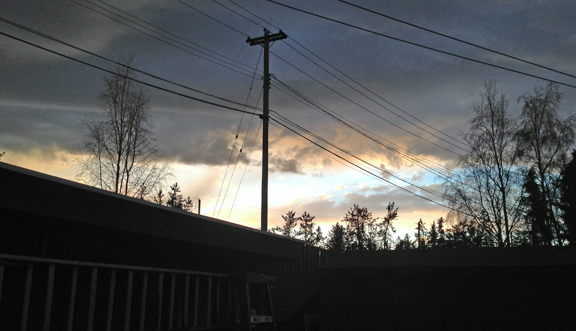 Summer days are long, with only a few hours of darkness (and it's not completely dark). That was the first thing I noticed the first night I was there. 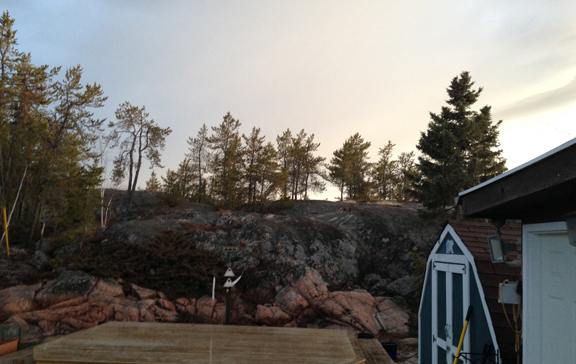 The sky was still light at 10 pm. Of course that meant the sun came up early too! I will post pictures from the workshops later this week.